the environs of the crater [ Carpenter, Anaximander, J . Herschel ] . I have focused 8″ refractor at the curiously connected shadow casted by the splitted rim- walls of each of Anaximander,s and of J, Herschel, s .
Although, seeing was bad , I observed/ sketched this for 40-50 minutes. 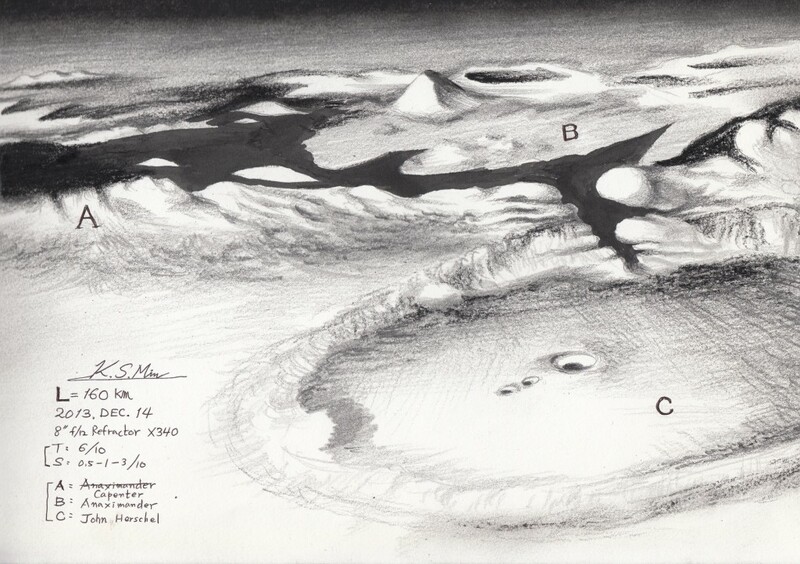 A very fine sketch of a great view near the lunar limb. Enjoyed your lunar sketch very much. The light and dark areas are very striking.